What happens when you unite data rockstars from all corners of our planet for one amazing week? Two words: data magic. At Tableau Conference, thousands of data fanatics come together and experience incredible learnings, gain inspiration, and interact with some of the most passionate data lovers in the world. Need a little more convincing? Here are the reasons why you can’t miss the data event of the year. 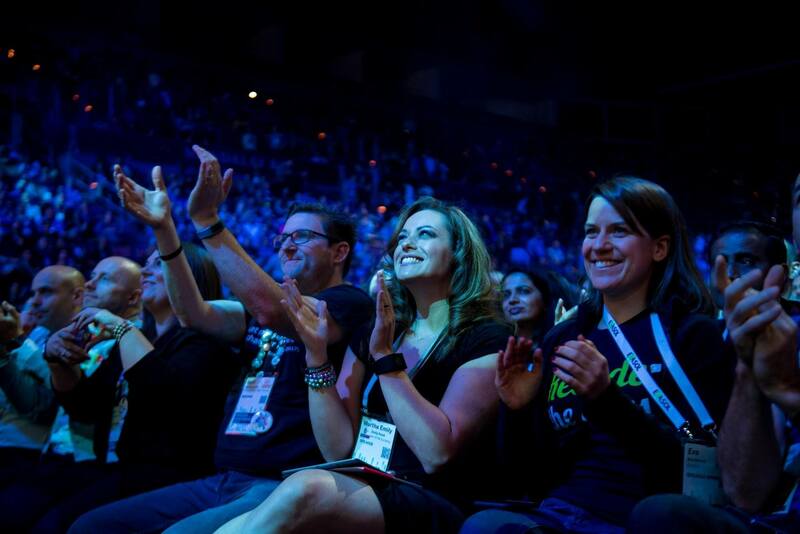 Consume world-class content: Tableau Conference is the hub of data knowledge. Take your pick from hundreds of hours of sessions including hands-on product training, tips and tricks from Tableau Zen Masters, and so much more. Hear first-hand stories about things like deployment and adoption, along with advice on how to optimize the Tableau platform for your business. Last year, we welcomed stories from companies like Coca-Cola and REI. TC offers something for every learning style and skill level. Check out last years’ catalog of sessions to get a taste for what you’ll experience. Meet face-to-face with Tableau experts: One of the best things about conference is getting some of your most challenging product questions answered by Tableau experts. Schedule Tableau Doctor appointments to get advice on your most pressing data questions or simply drop by the walk-in clinic for a quick fix. You will also have the opportunity to chat with developers and Zen Masters throughout the week to get the most out of your conference experience. Make it official by getting Tableau certified: Did you know Tableau is ranked third on Forbes’ list of top skills to get you hired? Advance your skills with our pre-conference, hands-on trainings like our “Visual Analytics: Theory and Best Practices” workshop. Or become a certified Tableau expert without ever leaving the conference campus (advanced registration required). Connect with like-minded data fanatics: At Tableau Conference, there’s an opportunity to make connections at almost every turn. We kick off the week with a Welcome Reception at Data Village—the perfect place to find your people at TC18. With industry tracks, happy hours, and extracurricular activities (5 a.m. runs, anyone? ), there are countless opportunities to extend your #DataFam. And of course, there’s the legendary Data Night Out where you can let loose with live tunes and new friends. The most passionate data rockstar community: Looking to connect one-on-one with the powerhouse Tableau community? Appeal to your inner data artist at a live #MakeoverMonday event or answer some of your trickiest questions with platform APIs at the TC18 Hackathon. Get a front-seat to the community buzz at meetups like Fanalytics, where you can build vizzes with famed Tableau Public authors or Data + Women where you can hear from inspiring speakers and learn new skills. Influence the future of Tableau: Tableau developers are on the front lines at Conference. Pop by Tableau Labs in Data Village to chat one-on-one with the engineers that build Tableau or to participate in studies with our research and development team. Get the chance to shape the future of Tableau by previewing (and sharing feedback on) new and unreleased features. For example, last year, hundreds of attendees signed up for the pre-release program for our new data prep product, Project Maestro—which just launched as Tableau Prep. Thought leader presentations that captivate and inspire: Prepare for the uplifting and the jaw-dropping. Hear from thought leaders, including renowned scientists and data leaders. Last year, we heard Dr. Talithia Williams share her story about how Rosa Parks and Claudette Colvin helped inspire her pursuits as a mathematician and educator. The past speaker lineup also featured astrophysicist Neil Degrasse Tyson (Cosmos), actor and creator Adam Savage (MythBusters), authors Steven Levitt and Stephen Dubner (Freakonomics), and Bill Nye the Science Guy. Hear what’s next on the Tableau product roadmap: Tableau leaders share what’s next for the Tableau platform. 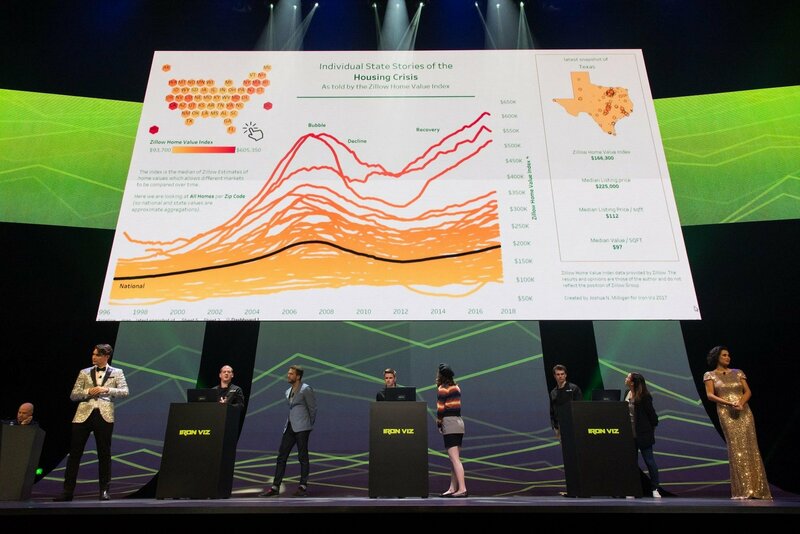 And during Devs on Stage, another ‘can’t miss’ keynote, Tableau developers present “never-before-seen” innovations. Watch data gurus build the viz that reigns supreme: Round out your week with Iron Viz, the ultimate data viz competition where contestants battle the clock to create the most compelling data story. Doing good with data: Celebrate the powerful stories from Tableau Foundation and hear how we’re building a better world with data through partnerships with organizations like Path, who uses Tableau to power their efforts to rid Zambia of malaria by 2020. 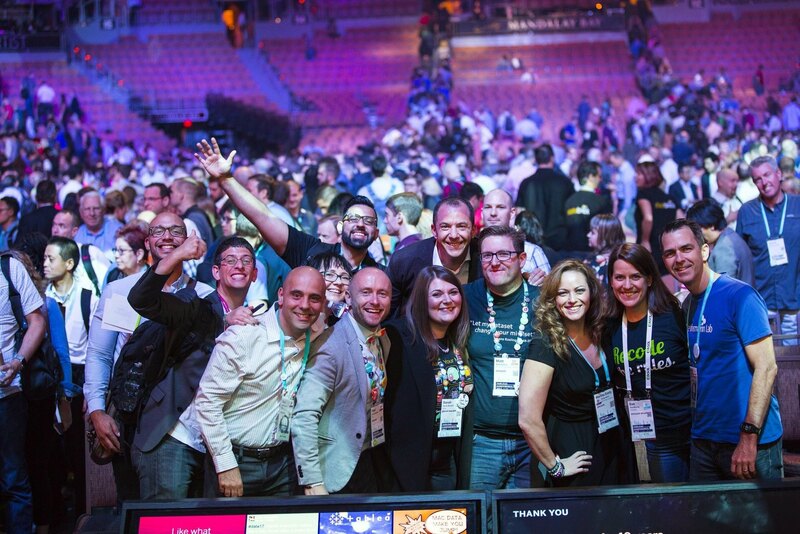 We’re proud to call our partner network an extension of the Tableau team. 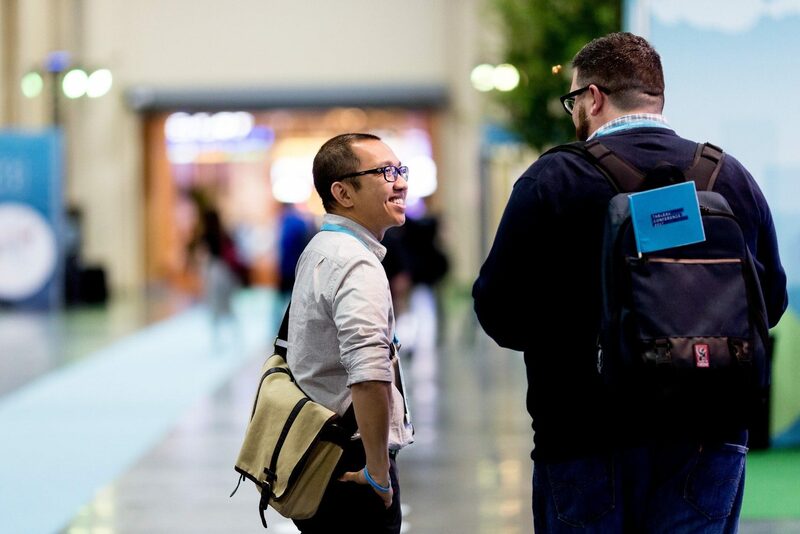 Data Village at Tableau Conference is your one-stop-shop where you can chat with companies like Alteryx, Interworks, Snowflake, and many more to learn how they can help expand your data journey. Whether you're in the market for a consultant to assist in business intelligence or guidance in building databases you can trust–your search ends here. Our partners come armed with a very particular set of skills that can empower you in your journey to data nirvana. From goals of establishing trustworthy data to enabling faster adoption, the relationships built in the expo hall bring value that extends beyond your visit to New Orleans. Register for Tableau Conference and join in on the pre-conference Community buzz with the hashtag, #TC18. See you in October!